‘Tis the season for hot chocolate and snuggles by the fire. Many newer homes have gone to gas fireplaces. They’re cheaper to build, easier to install, and are often considered more convenient. Just flick a switch. But for those of us who are “old school”, nothing but a real wood-burning fire will do. The smoky smell, crackling sound, and tactile ritual of fire building… nothing can really match it. 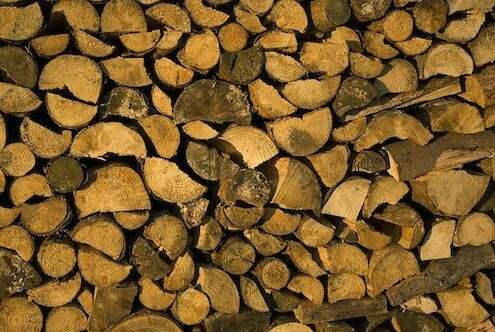 So when it comes to building a wood fire, what type of firewood should you use? Each wood species has its own set of burning characteristics, and there are a lot of choices out there. 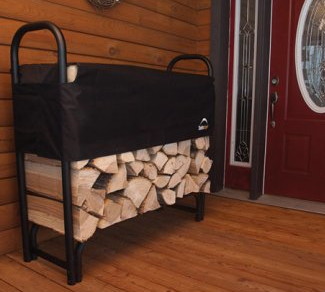 Here’s a quick primer on some of the most popular and available firewood types. Oak is abundant in the United States and is considered one of the best species for firewood. Dried properly, it can produce a very slow-burning and hot fire. But it does need to be seasoned—aged in a dry area, that is—for at least one year, preferably two. Like other hardwoods, oak is difficult to ignite, but you’ll be rewarded once it’s burning with an intense, sustained fire. Readily available in the northern US and Canada, hard maple is extremely dense and heavy, which allows it to burn very slowly, even in comparison to other hardwoods like oak and hickory. Birch is very attractive and gives off a lot of heat, but it burns fairly quickly. Though birch can be easier to find and cheaper than many other species, you’ll go through it faster. It’s best mixed into your firewood supply and used in combination with other types. Widely available and highly sustainable in northern climates, pine seasons faster than hardwood varieties, is easy to split, and easy to start. The cons are that it burns very quickly and does not produce the heat of hardwoods. Also, burning pine is usually characterized by exploding sap pockets that cause sparking, which it turn can cause creosote buildup in your chimney. 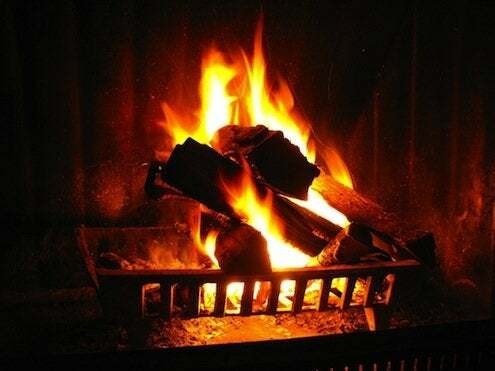 Many people like to use a softwood like pine to get a fire started before switching over hardwoods once the fire is hot. Probably the best conifer for firewood, Douglas Fir has a medium heating value and does not produce too much ash. Older trees are easy to split and easy to start. Fir does produce a moderate amount of sparking. Most any wood that has been seasoned properly will burn well. And even the best firewood will not burn well if it has not been seasoned. If the moisture level in wood is too high, energy is consumed evaporating water instead of throwing heat out. Many dealers sell “seasoned” wood, but if it’s been split this year, it probably won’t be dry enough. Most experts advise buying wood this year to burn next year. Wood that has been seasoned properly will appear grayish in color on the outside and weigh less than a new piece of wood of the same species. If you split it in half, it should be white on the inside. Finally, settle in with a good beverage and book to enjoy one of the best practices of the winter season.